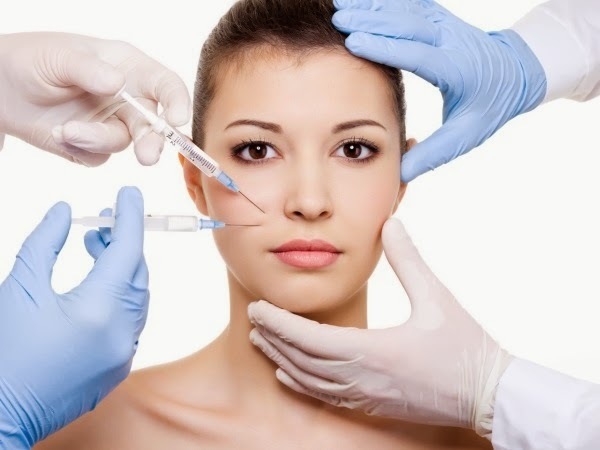 There is a lot of media attention given to anti-aging products and treatments for women, from Olay and Garnier commercials to celebrity gossip rags with headlines screaming about which stars had work done and who looks fabulous "for their age." I don't really give any of it much thought because I still consider myself too young to even care (plus my mom looks amazing and I'm hoping it's genetic), but I will admit that ever since I entered my 30s I've added eye cream and a Vitamin C serum to my nighttime beauty routine--I consider them to be preventive since I don't actually have any wrinkles yet. So tell me, how do you feel about the anti-aging industry--you into it or no? And if you are, what products or treatments have you used or plan to try? I'm dying to hear from you! This picture is amazing! 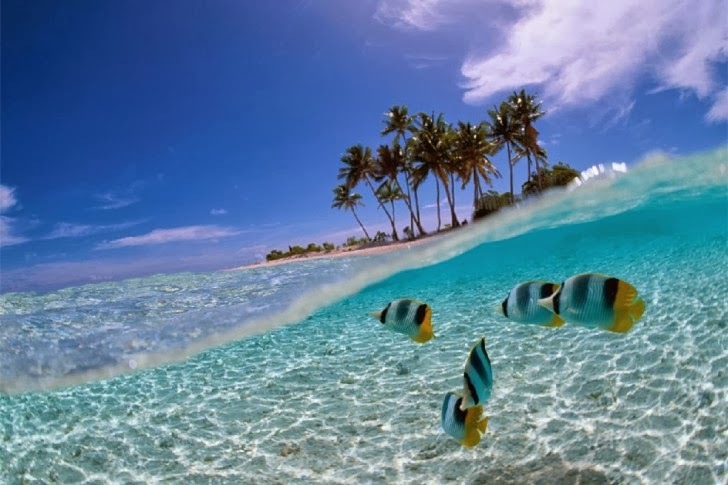 Since I'm due to give birth any day now and can't actually go anywhere this fabulous, I plan to sit and look at it this weekend, pretending I'm actually in Indonesia enjoying the cool, refreshing water. It's going to be pretty spectacular. I hope you have a wonderful weekend too! God bless! 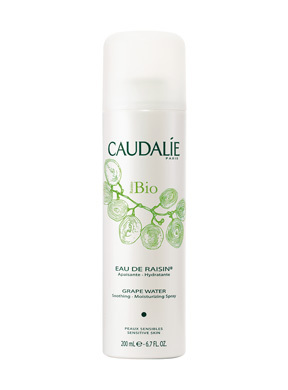 I'm a bonafide facial mist junkie. 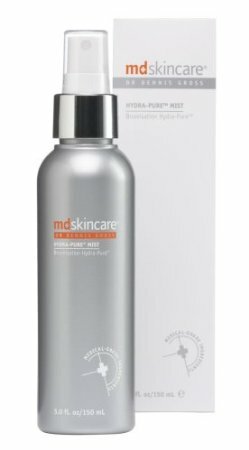 It all started years ago on a particularly hot and sticky afternoon in Las Vegas when I ducked into Neiman Marcus to enjoy the free air conditioning and discovered Shu Uemura's Depsea Face Mists. Since then I've tried a number of different beauty brands, and I keep at least two bottles in rotation at any given time. Here are my five favorites, and yes, I've tried and love them all. The Rent the Runway Clearance Sale may just be the biggest thing to happen to dress shopping since, well, ever! It's a chance to own, not rent, gently used looks from some of the industry's hottest designers and labels, like Sonia Rykiel, Shoshanna, Milly, Halston Heritage and tons more, all at deep, deep discounts. Plus, you can shop the sale and earn credit towards your next Rent the Runway rental. 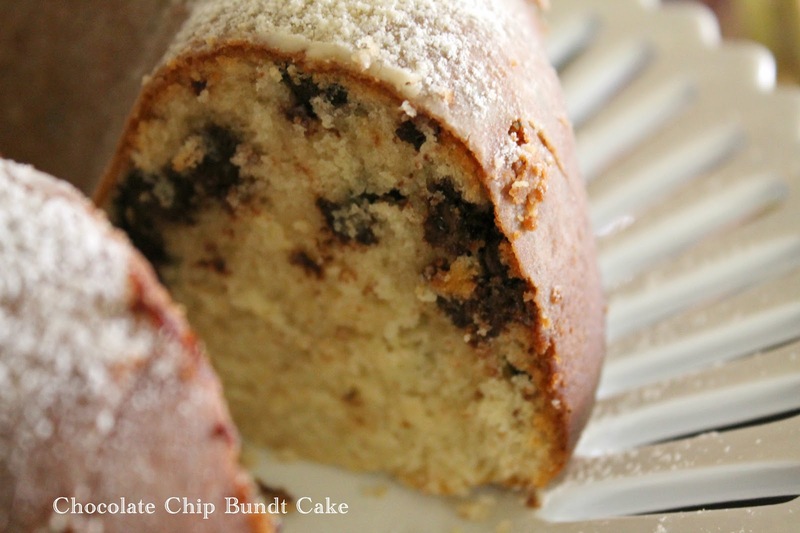 This Bundt cake is not only moist and delicious, it's extremely versatile and makes an excellent base for a number of different cake options. Experiment with a variety of chips, like cinnamon, or chocolate and peanut butter. You can also skip the chips and mix in dried fruits, nuts, cinnamon streusel, or whatever else you like instead; or even leave out the mix-ins altogether. With its simple yet elegant presentation, it makes a lovely centerpiece for your next brunch. Preheat oven to 375, then grease and flour a Bundt pan. Sift flour, baking powder, and salt together and set aside. In a large bowl, use an electric mixer to combine butter, cream cheese, and suger until fluffy. Add the eggs, one at a time, then add dry ingredients and milk alternately. Stir in vanilla and chocolate chips. Pour batter into prepared pan and bake for 35-40 minutes, or until a toothpick inserted in center comes out clean. 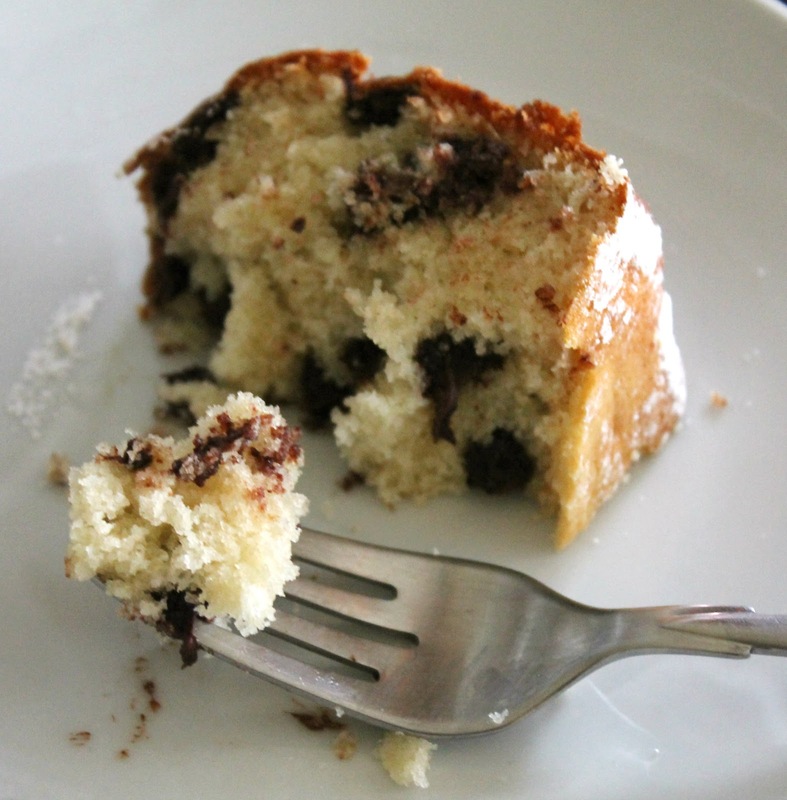 Use a knife to loosen the cake from the pan. Cool for 15 minutes in the pan, then invert onto a rack or plate to cool completely. 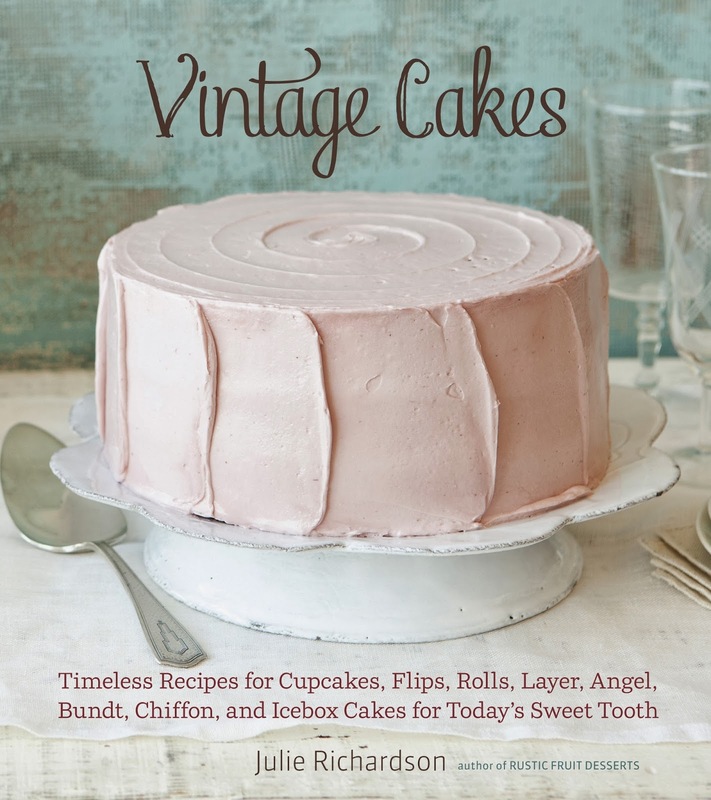 Dust the top of cake with the confectioners' sugar. 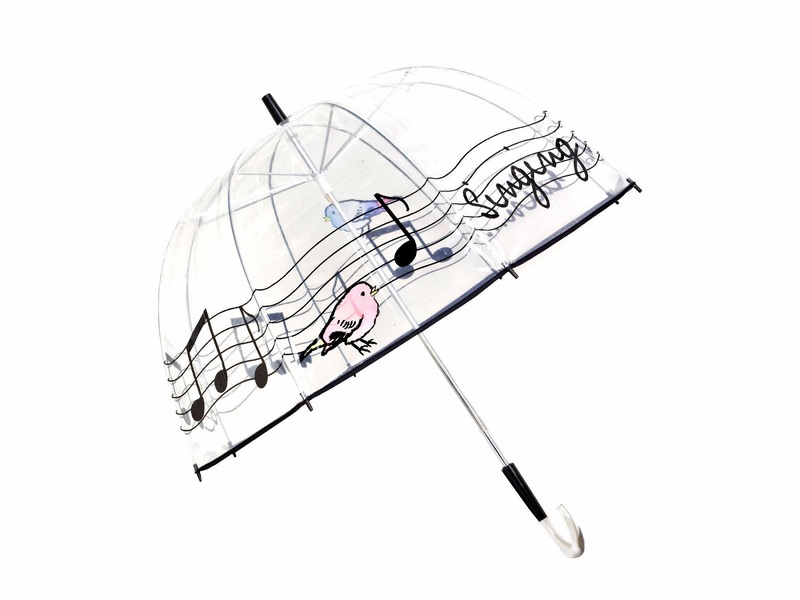 Have you ever seen a more adorable umbrella? At $65, this one is a lot more expensive than any other umbrella I've ever purchased, but it's just so freaking cute I almost can't bear the thought of not having it! If you've never done it before, you may not know that polishing your leather shoes and handbags is actually super easy and doesn't require the purchase of some special leather cleaner. 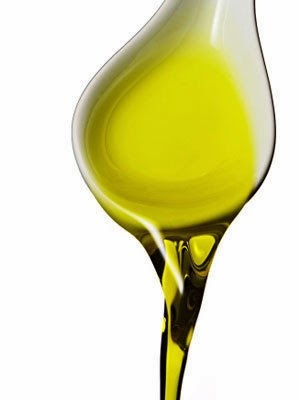 In fact, you probably have what you need in your pantry: vegetable oil! Simply wipe them clean with a damp cloth first, then rub a little bit of vegetable oil on them to polish and restore their natural luster. How easy is that? 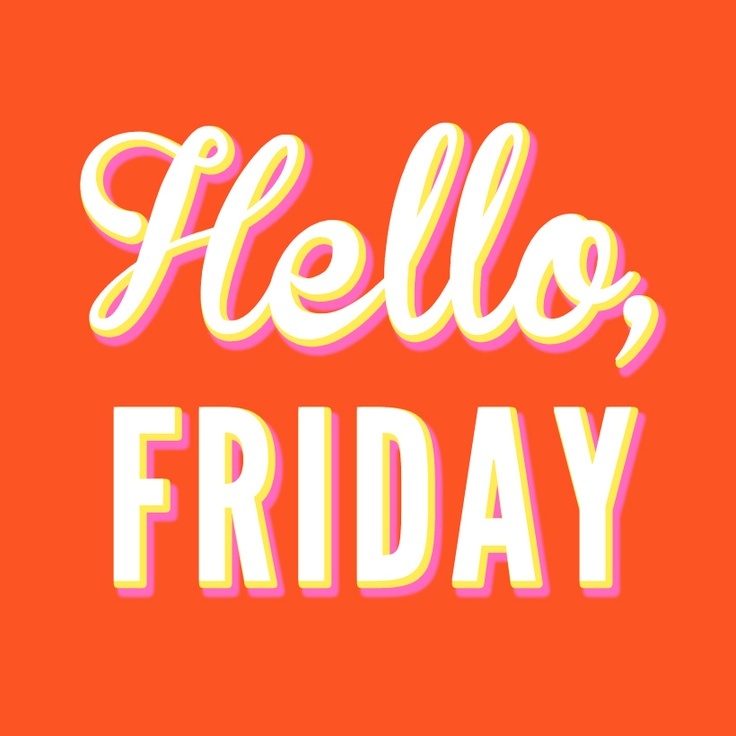 Even though I'm a firm believer that it's a blessing to be busy, I'm always happy when Friday finally arrives. This weekend, after a particularly busy week, I'm focusing on prepping for the arrival of our second little girl, who should be making her debut any day now. Hopefully I'll be able to squeeze in some much needed me time in the form of a mani/pedi before she decides to show up. 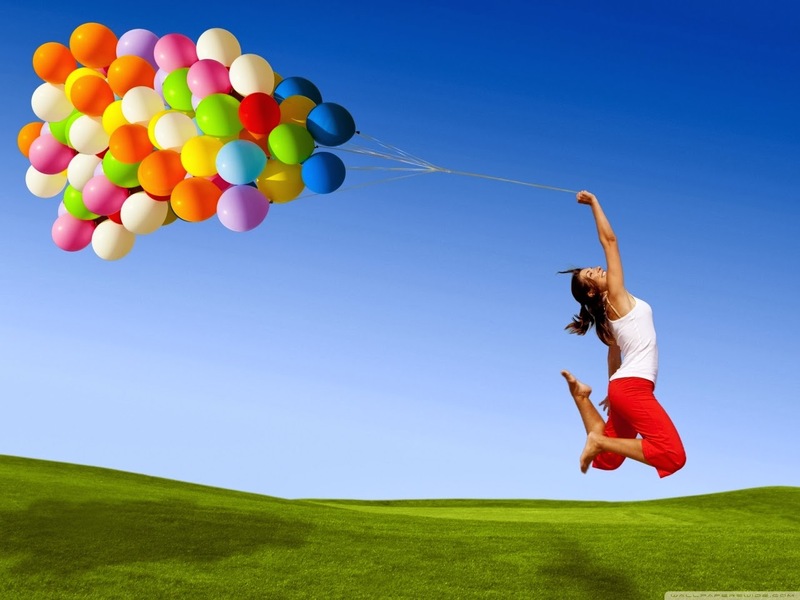 Whatever your plans, I wish you a fabulous weekend! God bless! Coconut oil is having a major moment in the beauty spotlight; it's an all-purpose beauty product that does everything from heal dry, cracked heels to deep condition hair. But if you've ever tried it, you know that it can be difficult to scoop out of the jar. A simple solution: whip it. 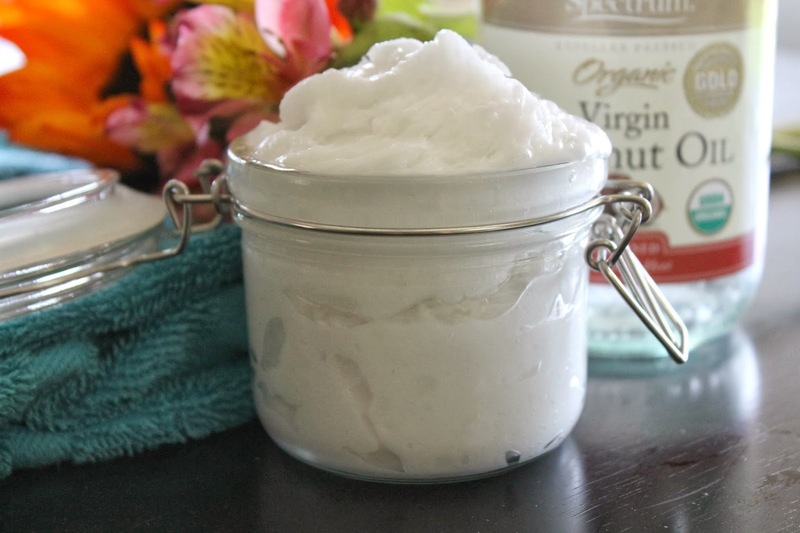 Simply put the coconut oil in a bowl and use an electric mixer to fluff it up to a soft, creamy, light-as-a-feather consistency. 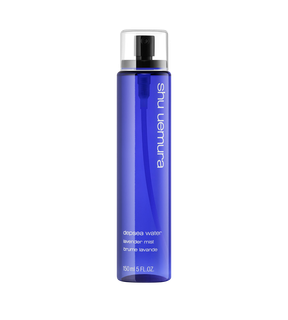 The silky, mousse-like oil is then perfect for slathering on your skin post-shower, mixing with baking soda to make a facial scrub, or blending with a little olive oil for a super-hydrating hair mask. 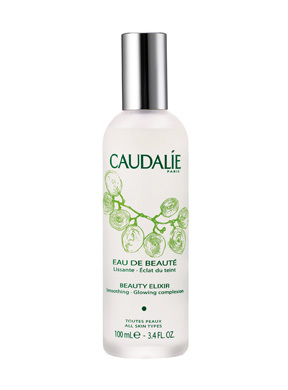 Plus, you can add a few drops of essential oil for a moisturizing aromatherapy experience. And by the way, this print is available here for only $16! A quick, easy salad is perfect for those hot summer evenings when the mere thought of cooking is enough to make you cry. This one combines shrimp and avocado with fresh veggies and a zippy lime dressing, plus crunchy tortilla chips to soak up all the yummy flavors. The original recipe calls for blanching the shrimp, but of course the shrimp can also be grilled. 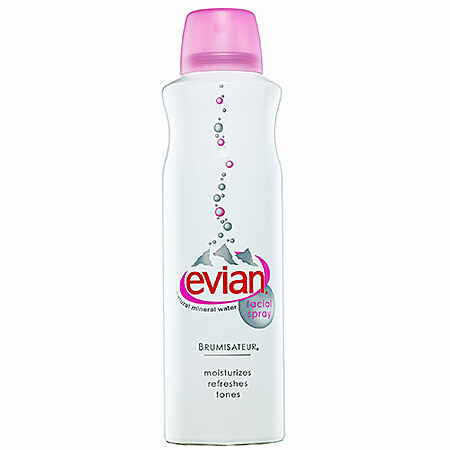 Bring a saucepan of salted water to a boil and fill a bowl with ice water. Add shrimp to the boiling water and cook until white throughout, about 3 minutes. Drain and cool shrimp in the ice bath, then drain again and pat dry. 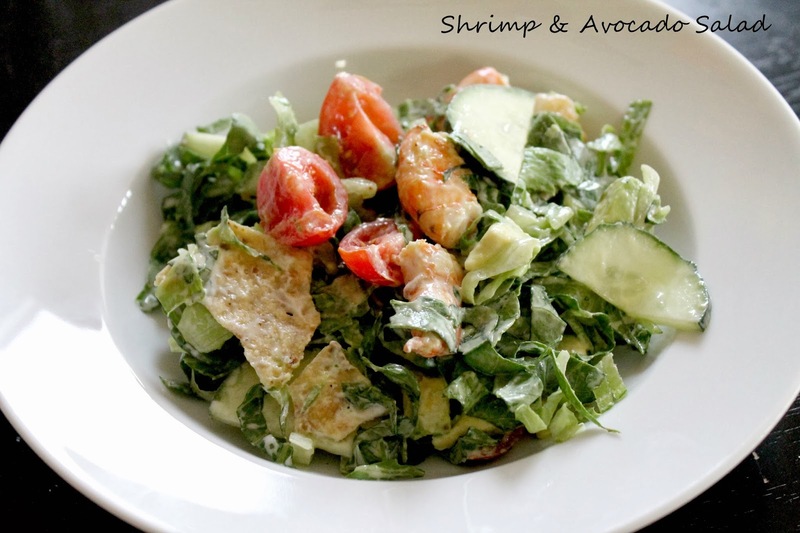 Place shrimp in a large bowl and add romaine, tomatoes, cucumber, cilantro, avocado, and tortilla chips. In a small bowl, whisk together remaining ingredients to make the dressing. Pour over the salad and toss to coat. Serve immediately. Note: My fish monger didn't have medium shrimp so I bought jumbo and cut into bite-sized pieces. Instead of blanching, I cooked them on my grill pan with a little olive oil and a squeeze of lime. 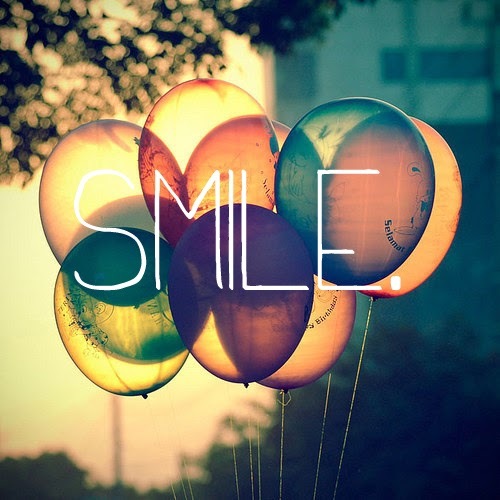 Here's to a fabulous weekend with plenty of reasons to smile! Have a great one, and God bless! 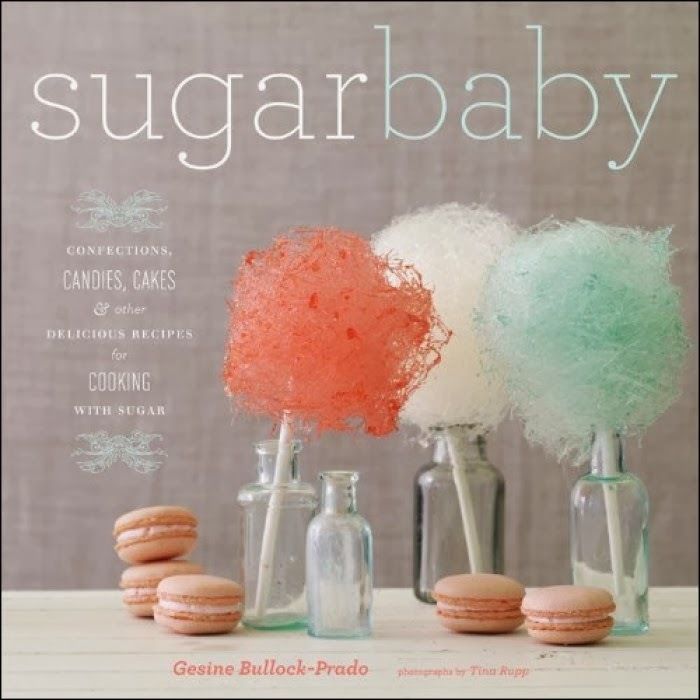 I have a massive sweet tooth, and it seems to have gotten intensely worse with my pregnancy. 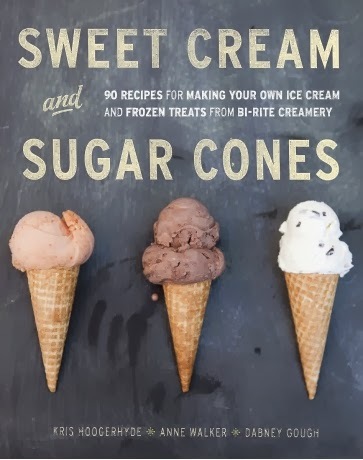 I can just look at a cookbook with an ice cream sundae or some sort of cupcake on the cover and my mouth will water. 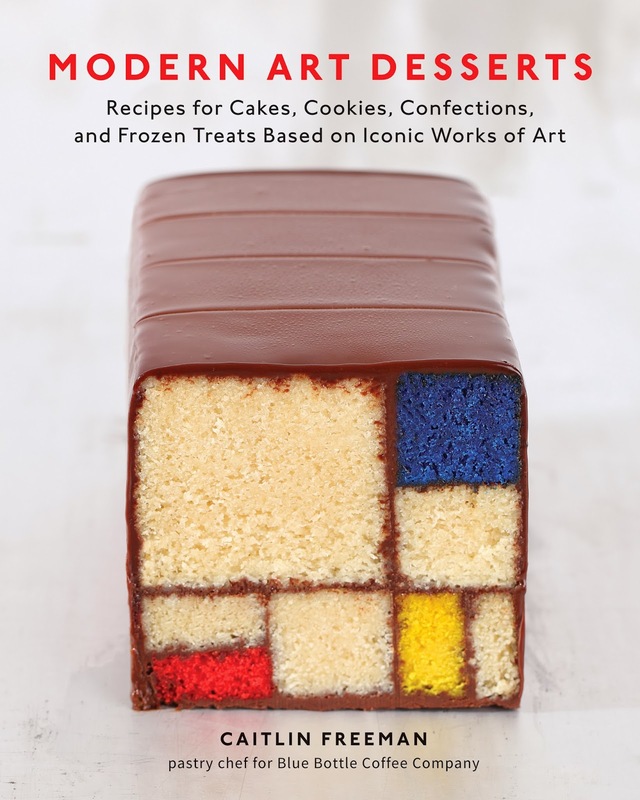 Here are five recipe books that I'm planning to 'add to cart' immediately. And by the way, how gorgeous are these book covers?! We're in a new home and I've got decorating on the brain. 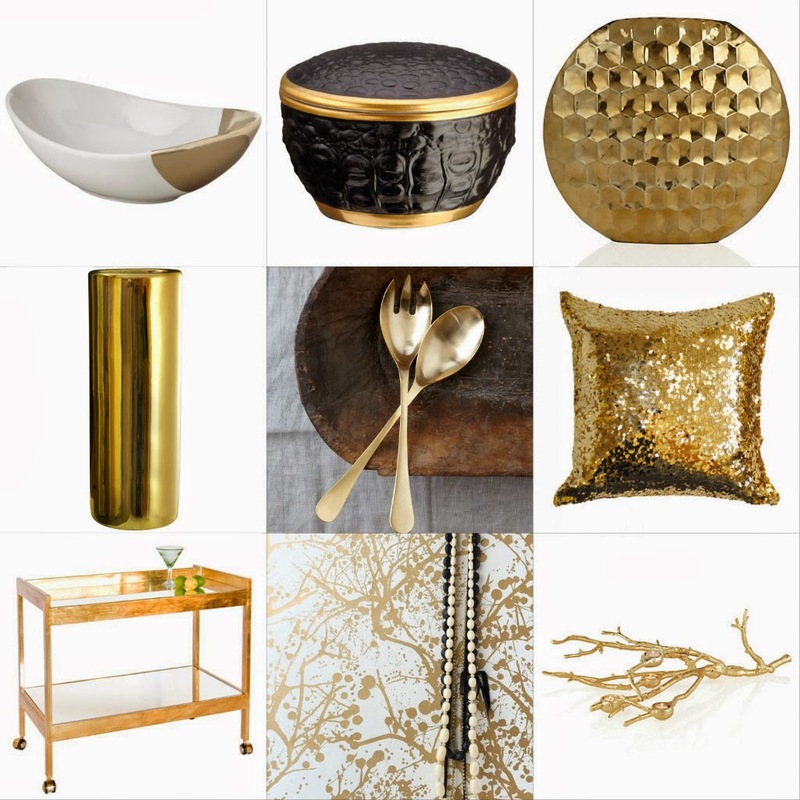 Lately I've been favoring just about anything with gold, from side tables to servingware--they add a dose of luxury and glamour to any space. I've found a ton of pieces I'd love to get my hands on, many of them surprisingly affordable. Just a touch of gold turns a simple bowl into a glamorous statement piece. A gold-trimmed box for holding treasures or just looking pretty on a book case. An insanely chic vase with an appealing honeycomb pattern and gorgeous golden hue. Even an entryway can be dazzling when there's a gold umbrella stand in it. A golden serving set makes dishing up pasta or salad a classy affair. An accent pillow that's like a party on your sofa or bed. Mixing cocktails at a bar cart with a gold leaf finish makes for ultra swanky at-home entertaining. White and gold wallpaper instantly makes a room sexier. The gilded branches of this votive holder bring a bit of outdoors in, but in the most posh way. S'mores are the ultimate summertime treat (although I have been known to make them yearround using my stove as the fire). 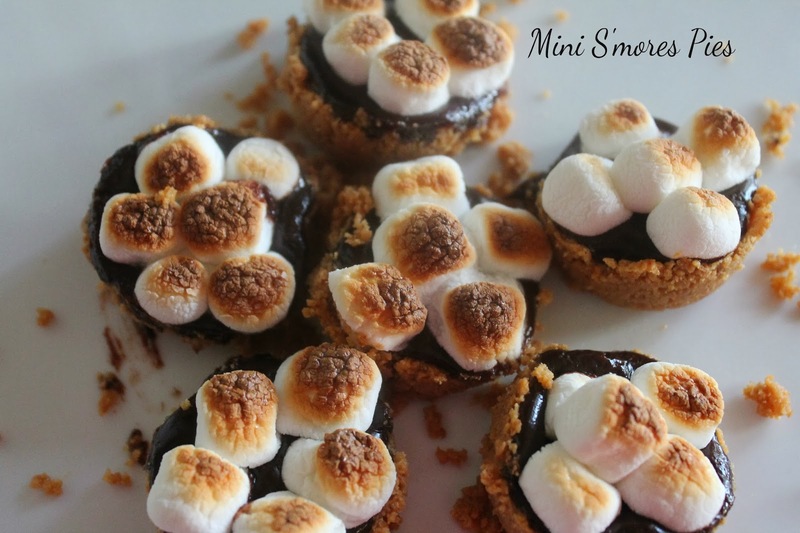 These mini pies have the same graham cracker and gooey marshmallows as traditional campfire s'mores, but a peanut butter-laced crust add a depth of flavor and the rich chocolate ganache filling make them a little more grown-up. Preheat oven to 350° and grease a 12-section mini muffin pan. Gently melt butter in a saucepan over low heat, then take the saucepan off the heat and stir in peanut butter, then the graham cracker crumbs. Divide the graham cracker mixture among the greased muffin cups and press firmly over the bottom and sides of the pan with the back of a teaspoon. Bake in the preheated oven for 6 minutes, or until slightly darker in color. If necessary, reshape the center with the back of a teaspoon. Let stand to cool and harden for at least 15 minutes. Put the chocolate in a heatproof bowl and set the bowl over a saucepan of simmering water, making sure the bowl doesn't touch the water. Heat until chocolate is melted, then add sugar and gradually stir in the cream until smooth. Preheat broiler to medium. 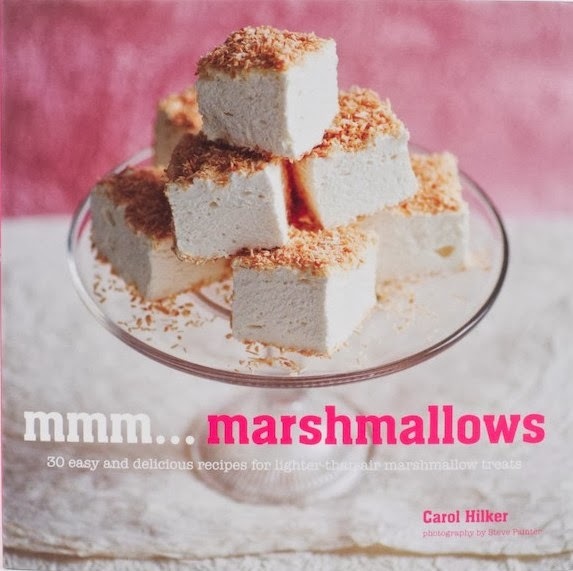 Spoon the chocolate filling into the graham cracker shells, then sprinkle the mini marshmallows over the top and gently press them down so they don't roll off. Broil for 2 to 3 minutes, or until marshmallows have softened and are just turning golden. Leave the pies in the pan to cool for about 30 minutes, then loosen with a butter knife and carefully lift out of pan. Yippee! Is anyone else extremely excited that it's the end of the week? Yesterday was a blast--we bbq'd, watched a fireworks show, then came home to make root beer floats and do sparklers. Such a fun-filled day, but I could sure use a rest. I hope your 4th of July holiday was wonderful and that the good times roll on into the weekend! God bless! Remember mixed tapes? That's immediately what I thought of when I spotted this cookie cutter--scrambling to hit record on the stereo when a favorite song was coming on the radio, or sifting through cassettes for the perfect tunes to make a mixed tape. 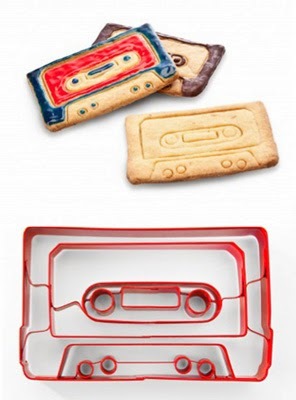 How perfect would it be to serve cassette tape cookies at an '80s party? Total rad, right? 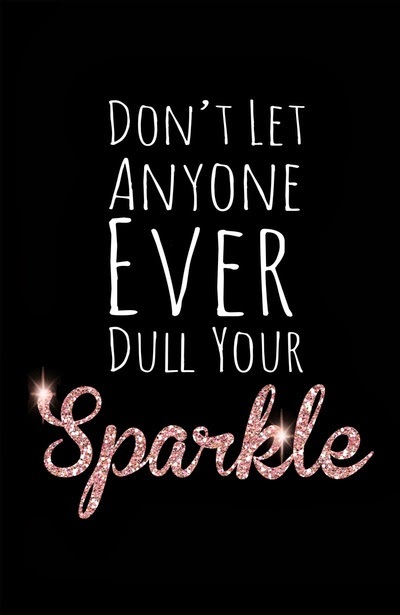 I hope you're having a wonderful Tuesday! 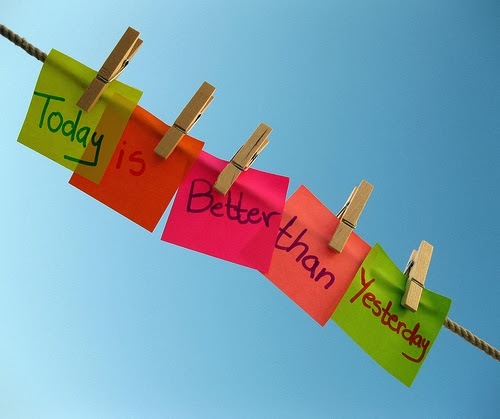 Make the most of opportunities that are presented today; take a chance; do something kind for someone else; smile! One of the best parts of the 4th of July holiday is the food, am I right? BBQ, juicy watermelon, ice cold lemonade, cupcakes... 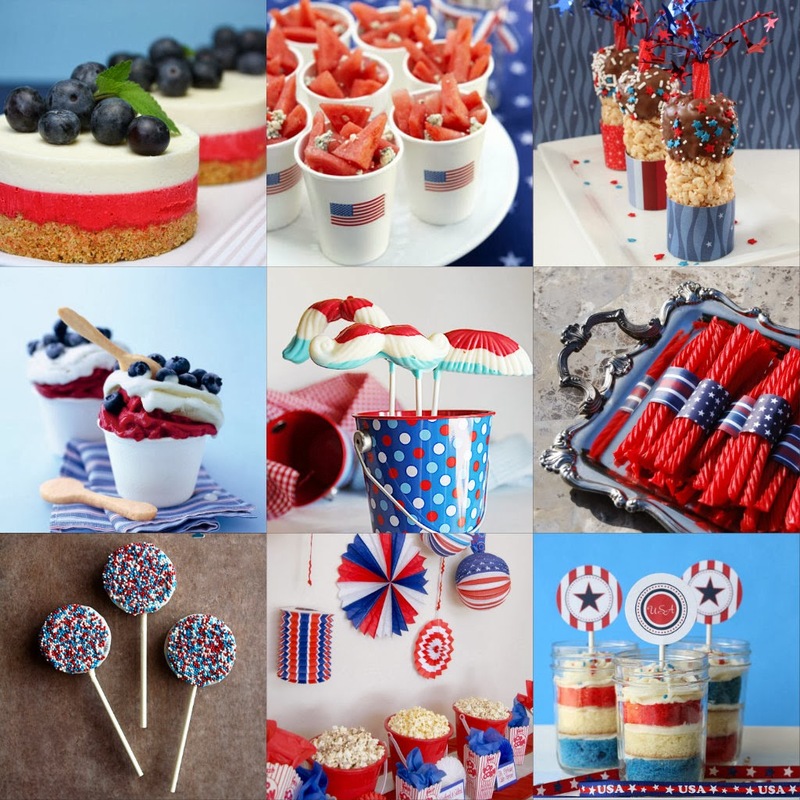 If you're hosting a big Independence Day bash, here are some fun and festive treats you might want to try. White Chocolate No Bake Cheesecake...sold! These Watermelon and Blue Cheese Salads are both festive and refreshing. How adorable are these Rice Krispies Treat Firecrackers?! As far as presentation, Vanilla-Raspberry Sundaes are the clear winner. The spoons are cookies! Uncle Sam Mustache Pops look like so much fun (and fun to eat). Red Vines wrapped in patriotic-printed paper--simple, yet genius. My hubby is a fan of chocolate-covered Oreos so I might be making these Patriotic Oreo Pops. Let guests create custom flavor combos with a 4th of July Popcorn Bar--perfect fare for watching fireworks. These 4th of July Cupcakes in a Jar are as convenient as they are cute.